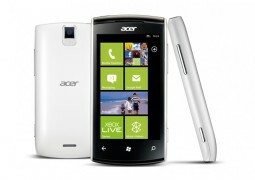 In the quietest fashion, Acer announced the Windows Phone 7.5 running Allegro handset. 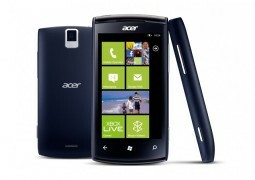 The company's first device running Microsoft's mobile OS aims (as always) for a piece of the mid-range market. In terms of specs, you get a 1GHz single-core Qualcomm CPU and 8GB of built-in storage. The screen is a 3.6" LCD unit with WVGA resolution. A 5MP camera with LED flash can be found on the back of the device. The usual connectivity suite is on board. The Allegro is powered by a 1300 mAh battery. Its measures stand at 116 x 59 x 13mm, and its weight is 126 grams. The smartphone will hit the shelves in France mid-November in the above shown color schemes. In case you are interested, it will cost you €299. I rather get an HTC than Acer phone.